My guest today is Dr. Jennifer Nardozzi, who I came to discover through a dear friend and wonderful therapist in the Miami community. I really wanted to chat with her because her work focuses on conscious eating and body image issues which are prevalent here in Miami and in the lives of many women all over the world. I was also lucky enough to have some time with a friendly and generous client of hers who gave us a testimonial of Dr. Jen's work at the end of the podcast. 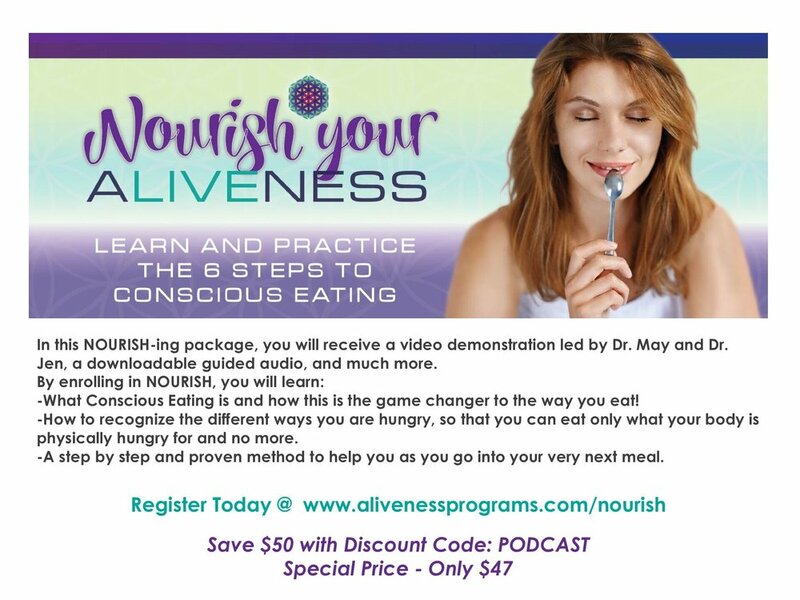 If you're interested in her work, my listeners get a discount offer of $50 off her online NOURISH program which offers people a different way to eat and more importantly, a different way to live. At $47, this is a discount of almost 50% and is an incredible deal for such a complete program that will nourish your heart, your soul, and the real you. Please see the coupon below Dr. Jen's bio or on my FB and Instagram pages. Register here with coupon code PODCAST. Jennifer Nardozzi, PsyD is a clinical psychologist and a national speaker. She has a private practice in Miami, Florida and she is the former National Training Manager at The Renfrew Center, the first residential center in the country for treating those with eating disorders. She has held various positions at The Renfrew Center, including the Director of Admission, the Director of the Partial Hospitalization Program in Miami, and the Director of the Extended Care Program. Dr. Nardozzi has traveled around the country working with both professionals and those in recovery regarding best practices in the treatment for eating disorders. She helped to pioneer the spirituality program at The Renfrew Center and believes in a holistic approach to treating clients. She has presented at numerous national conferences and internationally in Jamaica, Sierra Leone, Russia, and Uganda. She provides individual treatment, facilitates mindful eating groups, and hosts retreats for women with eating and body image issues. Newer Postepisode 7: Stand up for you, your mind, and your body with Laura Lee Johnson.